The first “what the …” moment was the fact that when I Google’d, “High Heel Crocs” there were multiple images that appeared. I went on a self-reflective journey of my own heritage and culture. 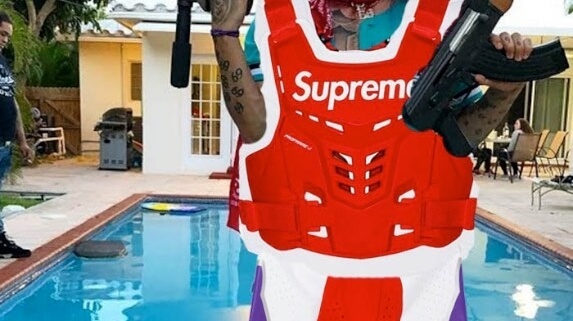 Tekashi 6IX9INE Will Look Even More Ridiculous When He Cops The Supreme x Fox Collaboration Dropping Thursday. Tekashi 6IX9INE, the self-proclaimed “King of New York” will look even more ridiculous when he along with all of the other non-motocross riding idiots purchase and start wearing pieces from the Supreme x Fox collection with no motorcycle in sight. Our latest Shine subject is Alfonso “ALF” Rawls. ALF is a skateboarding legend and really good soul who can still rip everything with freaky styley style.